This Outlander Tour from Edinburgh includes all admissions, accommodation, transport and local tour guide/Outlander fan/Outlander extra, £1,400 per person. Join me On the Trail of Outlander for an extra-special Outlander tour in April 2017 and be at Culloden for the anniversary commemoration. April 11 – Head east of Edinburgh to Preston Mill which became Lallybroch’s Mill. Travel on to Prestonpans. In Edinburgh visit the Palace of Holyroodhouse before an Outlander walking tour of Royal Mile. 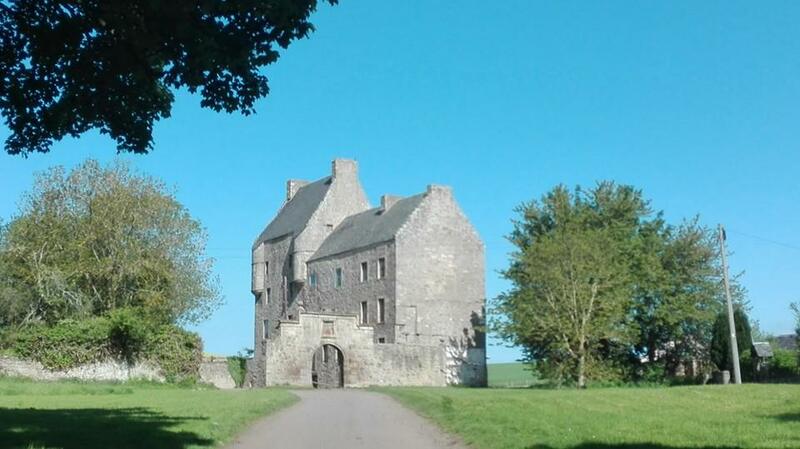 April 12 – Today you cross the River Forth to explore Fife’s Outlander locations. Aberdour Castle that stood in for Abbey St Anne de Beaupre; Dysart harbour, used as Le Havre port; Balgonie Castle that became MacRannoch’s place; Falkland that became 1943 Inverness; and Culross aka Cranesmuir. 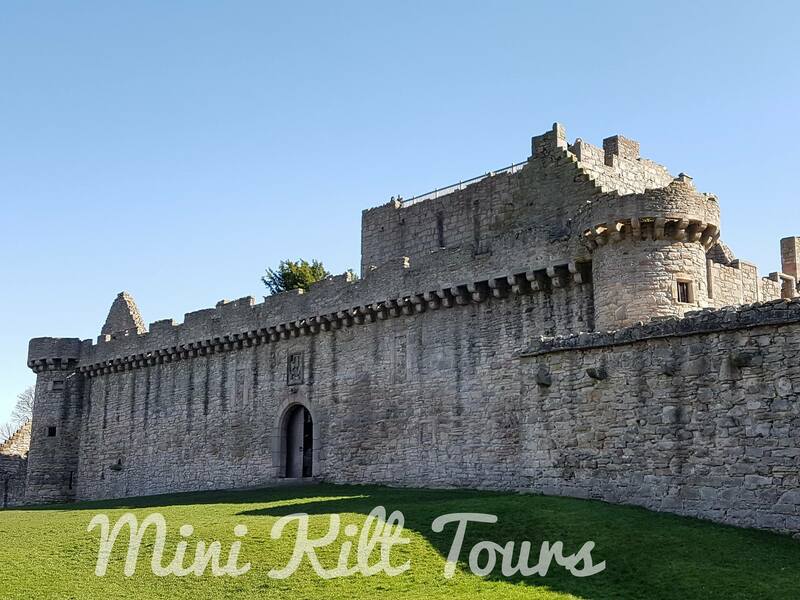 April 13 – Travelling north today explore Hopetoun House, Lallybroch, Linlithgow Palace; Blackness Castle aka Fort William; a local railway station used in Season 1 and Callendar House. 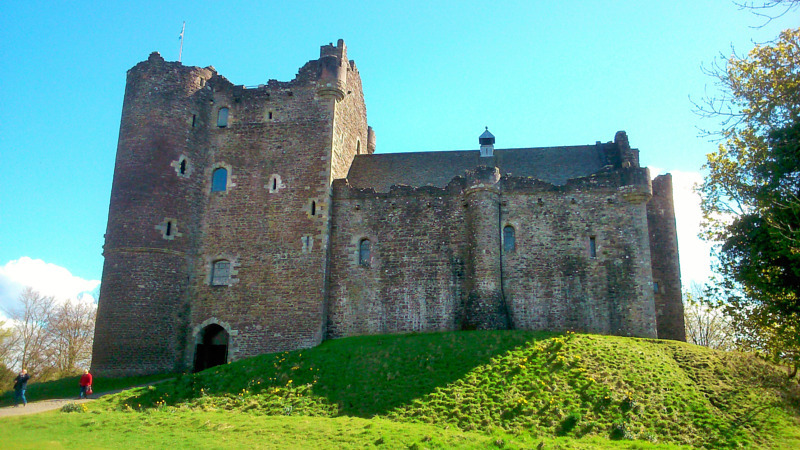 Lastly we stop at Doune Castle or should I say Castle Leoch. April 14 – Heading north stop at Tullibardine Church, Tibbermore Church and Drummond Castle Gardens. Then go off the beaten track in search of Craig na Dun soaking in the beautiful Highland scenery. Travel deeper into the Highlands as you carry on north stopping at Newtonmore to visit the Museum of Highland Life where various scenes from Season 1 were filmed. 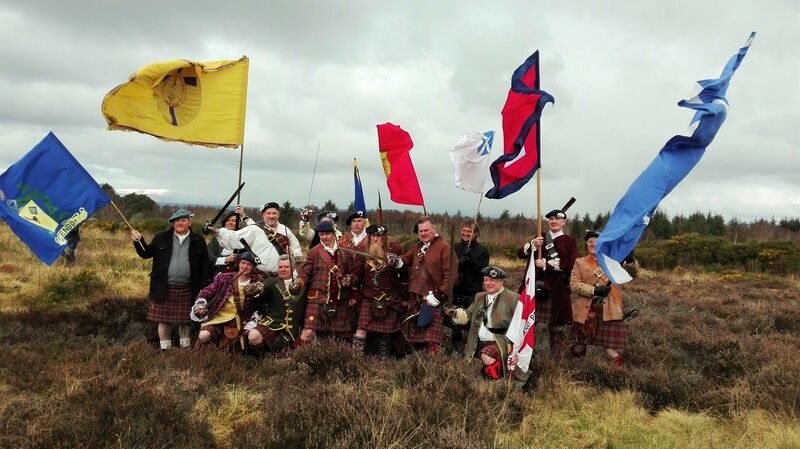 April 15 – Today we explore around Inverness, first stop is Culloden. 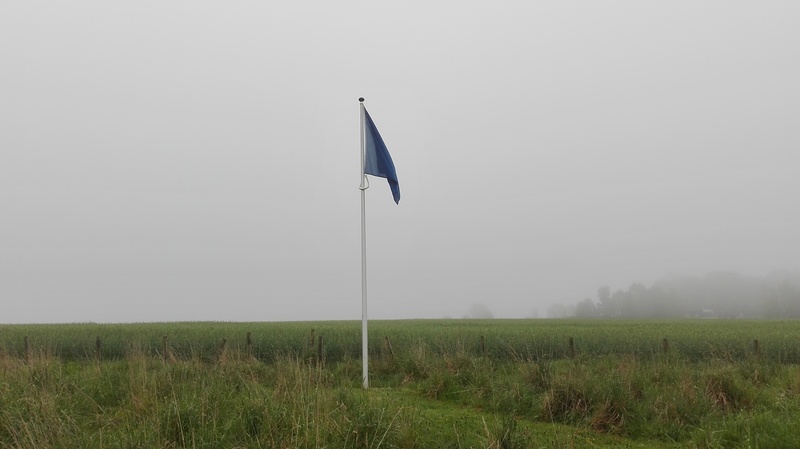 Walk out on to the battlefield and be a part of the commemorations of the anniversary of the battle. 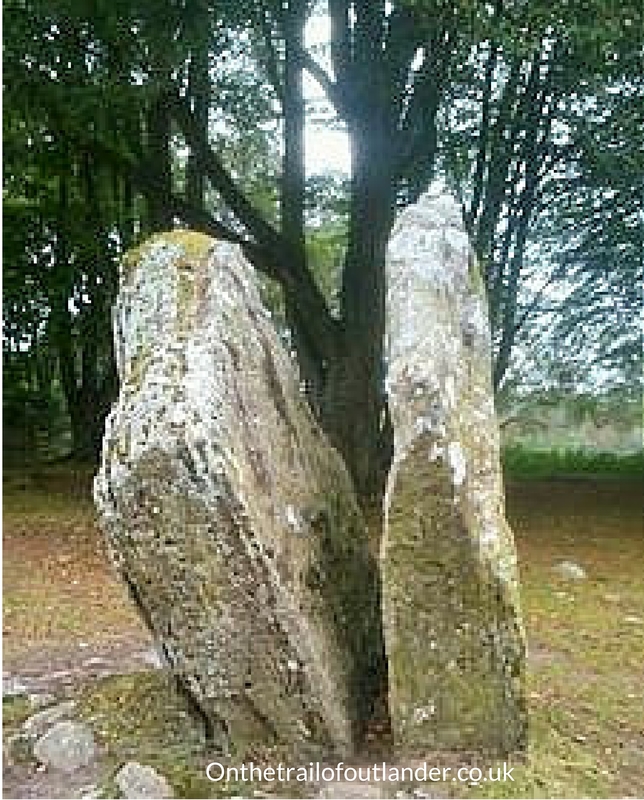 Then on to the prehistoric Clava Cairns, one of the stones here has a cleft in it. Passing Culloden House we head in to clan Mackenzie and Fraser country. Visit a local distillery, Beauly Priory and Wardlaw Mausoleum. 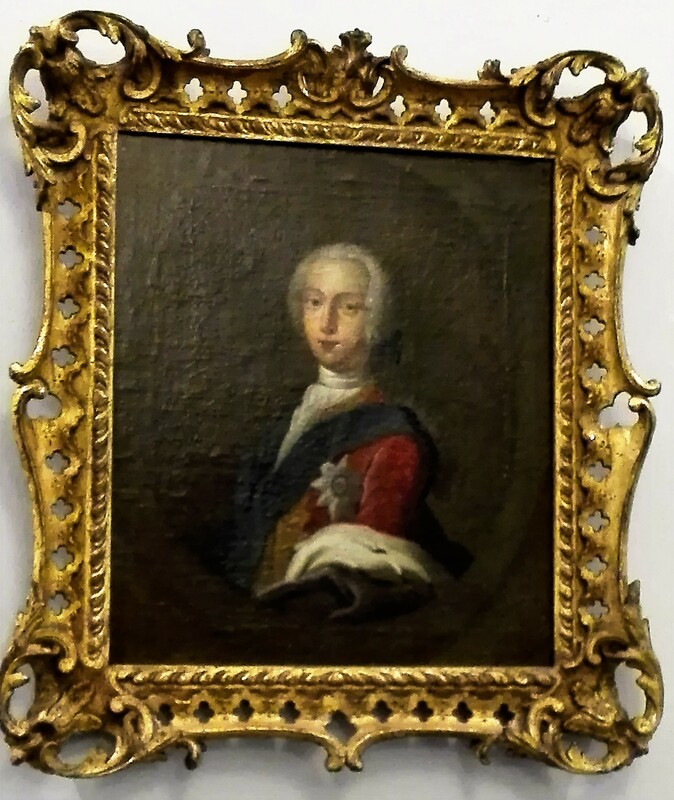 April 16 – Travelling through the Great Glen we see Loch Ness and stop at Urquhart Castle; learn about Highland dress and weaponry before visiting Glenfinnan, where Bonnie Prince Charlie raised his standard in Scotland to start the ’45 Jacobite rising. April 17 – Head south to Glasgow. Travel through Glencoe. When in Glasgow we stop to visit Pollock Park where various scenes were filmed; Glasgow Cathedral where filming took place for Season 2, Lastly stop at George Square to see the doorway Claire and Frank run in to to get married.